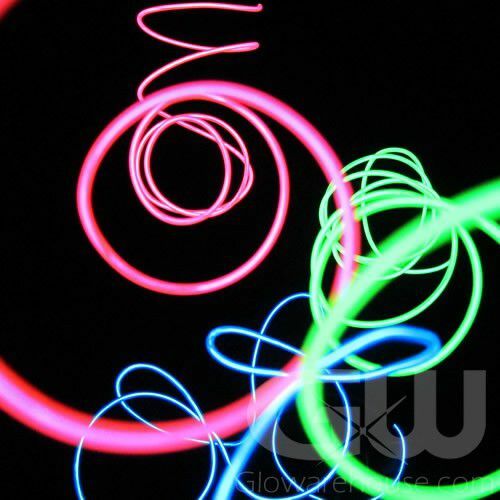 - 80 Inch Glow in the Dark EL Wire Kits! - No Assembly - Kit comes Complete! - Steady Light & Flashing Light Settings! 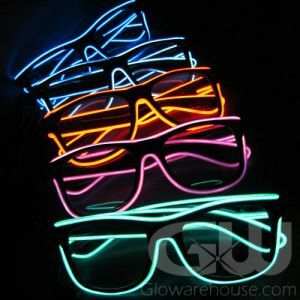 - Glow Party Decorations! Glow Bike Rides! Costumes! 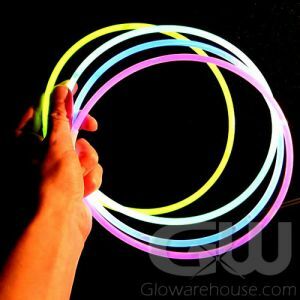 Let your imagination run wild with our supremely versatile Glow in the Dark EL (electro luminescent) Wire! 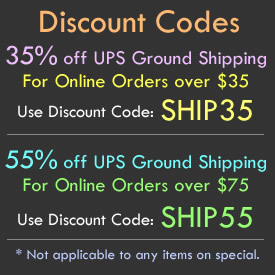 The possibilities are endless with a full 6 and 1/2 foot long strand of our intensely colorful and bright Glowing Electro-Luminous String. This lighted wire will bend into any shape you desire! The 80 inch long strand of wire glows brilliantly and has both a strobe effect and a solid steady light mode. 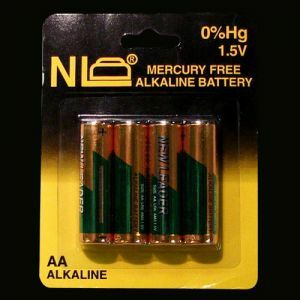 The EL Wire Kit comes complete with an already attached battery pack that takes 2 AA batteries. 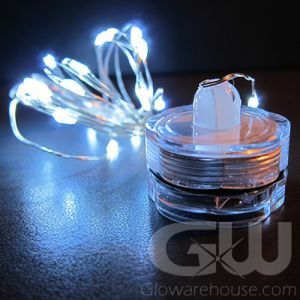 Available in a wide assortment of color options, these Electro-Luminescent String Kits are the single best option for an easily portable, completely bendable glow in the dark wire accessory. Drape it, lace it, wrap it around and through anything, whether it’s you and your party costume or your outdoor nighttime bar. You can create unlimited patterns and motifs with the Electro-Luminous String Light Kits and mix and match colors for contrast or harmony — the sky is the limit! 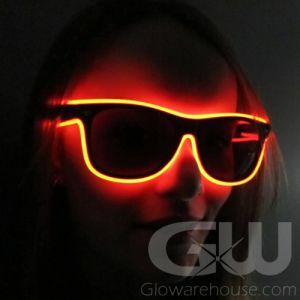 Effective and stunning not only as glow in the dark party supplies and decorations, glowing wire has plenty of practical functions as well. Take the light up EL String kits camping, or put one in your emergency kit to demarcate positions and locations with a bright string of glow. So go for it, create something magnificent!